10 Movies To Watch to Honor Martin Luther King Jr.
\Martin Luther King Jr. Day is this coming weekend and what better way to help spread the message of equality and tolerance than with these ten movies? It’s no secret that Martin Luther King Jr. was influenced by the non-violent protests and civil disobedience led by Mahatma Gandhi. This Richard Attenborough directed film took home eight Oscars in 1983 including Best Picture, Best Actor (Ben Kingsley) and Best Director. One of the few films that tackled the subject of racism in the supposedly enlightened North, this adaptation of Lorraine Hansberry’s play finds Sidney Poitier giving one of the best performances of his career. The film centers on a large insurance payment that a black family living in the Southside of Chicago must decide on paying. This classic crime drama centers on a black police detective trying to solve a murder case in the Deep South during the 1960s. The film won multiple Oscars, helped further the legend of actor Sidney Poitier and gave co-star Rod Steiger a serious jaw workout. This Oscar-winning drama stars Gene Hackman and Willem Dafoe as a pair of FBI agents who arrive in Mississippi to investigate the disappearance of some civil rights activists. The film is loosely based on the real FBI investigation of three civil rights workers who were murdered in Mississippi in 1964. Another Sidney Poitier movie centers on a couple of white parents whose daughter brings her black fiancé home for dinner. This tense take on the old meet-the-parents tradition won a pair of Oscars (Best Actress for Katherine Hepburn and Best Screenplay) and picked up eight additional nominations. This classic adaptation of Harper Lee’s novel set in the Deep South stars Gregory Peck as the moral center in a story about a falsely accused black man in the 1960s. The film won Peck a Best Actor award at the 1963 Academy Awards and also picked up wins in Best Writing and Art Direction. It was also nominated for Best Picture, Best Director, Best Supporting Actress as well as nominations for cinematography and music. Featuring Denzel Washington in one of the greatest biographical performances ever, this film explores the alternate side of the struggle for equality by showing the transformation of one of the most controversial and important leaders of the Civil Rights Movement. Denzel Washington earned Golden Globe and Oscar nominations for his performance along with a handful of critics’ circle awards. Spanning several decades, the tension of mid-1900s racism is at the heart of the critically lauded biopic. Forest Whitaker stars as Cecil Gaines, a man who serves as the butler to eight presidents during his tenure in the White House. During that time span, he witnesses first hand the struggles of the civil rights movement, Vietnam and other major events in American society throughout the latter half of the 1900s. When we get down to it, if you’re looking for a movie about Dr. King, then the 1978 mini-series starring Paul Winfield as the civil rights leader is highly recommended. The mini-series stretches from King’s days as a Southern Baptist minister up to his assassination in Memphis in 1968. The mini-series earned nine Primetime Emmy nominations and took one home for Outstanding Achievement in Music Composition. Cicely Tyson, Tony Bennett and Ossie Davis are among the co-stars. 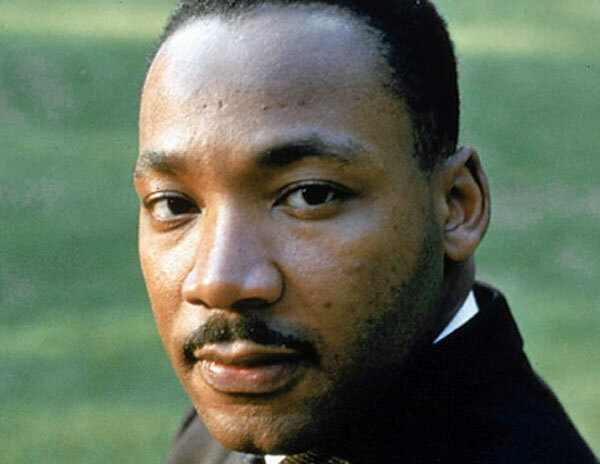 Tags: African American history, black history, civil rights, Derrick Deane, film, film lists, holidays, January, lists, Martin Luther King Jr., Martin Luther King Jr. Day, MLK, MLK Day, movie lists, movies, Top 10, Top Ten. Bookmark the permalink.